Odoo guides you through your workflow, step by step. Navigate easily within the solution and start your business journey with a clean and user friendly interface, with faster & better navigations & transitions. Find directly the information you need thanks to the simple and default filters suggested by Odoo. Working remotely has never been so easy. 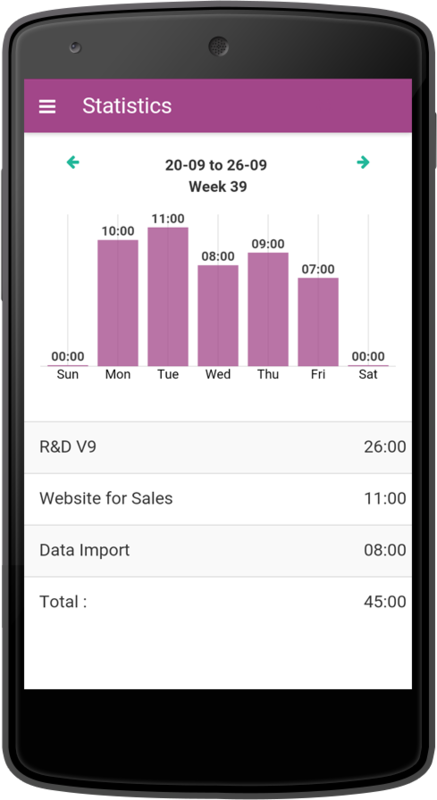 Odoo is mobile-friendly and dynamic and will suit any mobile device or tablet. Whether you are at a customer’s place or in your car between two meetings, you won’t miss any important informations thanks to the notifications. With the Subscription App you can focus on growing your business and sales. Thanks to the recurring billing and subscriber management, you don’t need to worry about sending recurring invoices. 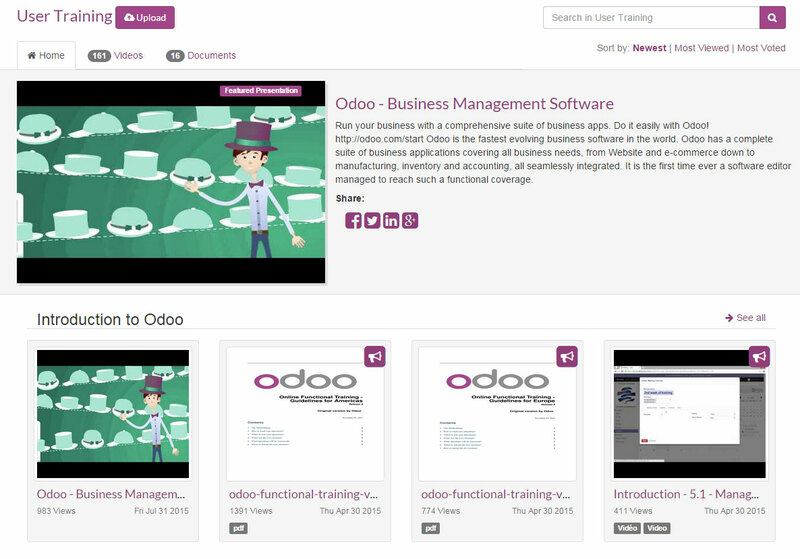 Odoo does it for you. You’ll just need a quick configuration and let the magic of automation happening, and simply watch recurring revenues grow in a beautiful dashboard. You can now send your invoices by post mail in one-click. Really ? Odoo provides off the shelves support with 3rd parties that will handle the printing & sending. Because receiving a paper invoice is still required or useful. Moreover, Odoo is synchronized with the online interface of 24.000 banks and support all banks import formats. And with the new smart reconciliation mechanism, matching payments & invoices has never been so easy. The ‘perpetual closing’ helps you to get a real time reporting of the financial performance of your company, at any time of the year, including amortization and earnings, all viewable on beautiful, annotable reports. Odoo Accounting supports multiple currencies but also automate business flows with inter-company rules, and is ready for 45+ countries, off the shelves. On the Fly. Online/Offline. Secure. 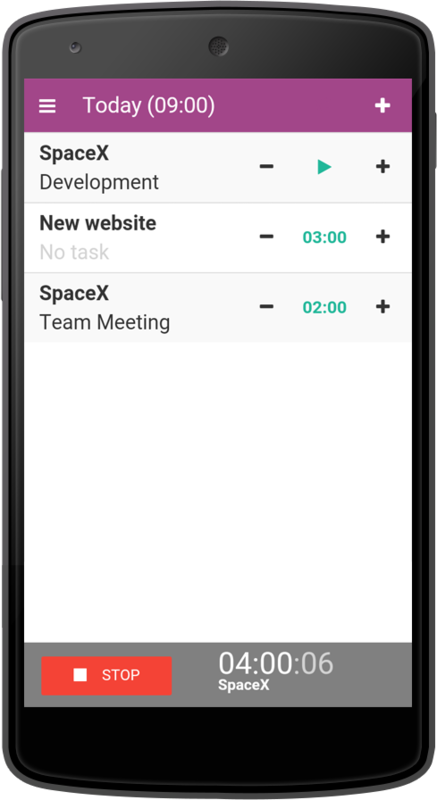 effective hours and reforecasts on tasks easily. 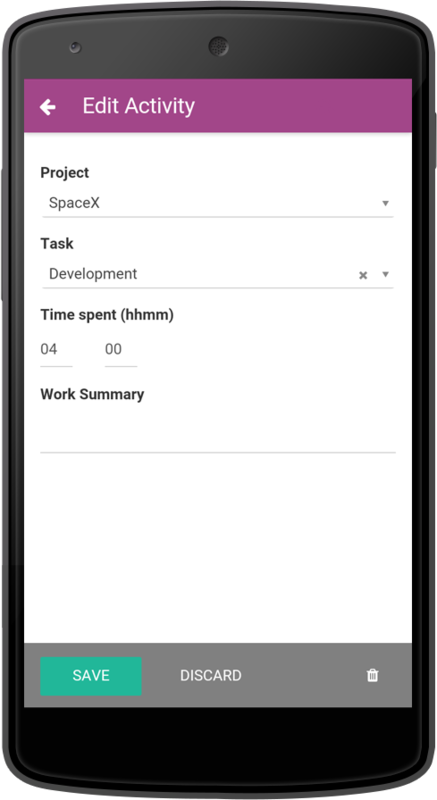 With the Timesheet Chrome extension, enter directly in Odoo the time spent working on a particular project. Record a time session from your browser simply by clicking on “Start” button of the Timesheet - Odoo takes care of the rest. Expenses, Fleet, Employees, Appraisal, Recruitment. Have a clear view of your employee's expenses, by team, by client contract or type of expense. Thanks to attachments, you can always check the proofs of spendings and know exactly where the expense comes from. All expenses are now in a single list, to enable specific treatment per expense. Evaluate easily the performance of your employees on a regular basis. Customize a survey relevant for each job position and get your employees feedback. Thanks to the calendar, track the upcoming appraisal. Follow up the process thanks to the different stages that you have configured earlier. Save time and money with electronic signature and start a new way of doing business. Prepare directly the electronic version of contracts and sales quotations, choose which fields will be editable by the recipient and send it in one click from Odoo. The recipient just need to fill in the required fields online including his/her digital signature and click the ‘Submit’ button. Your documentation on your website. Host everything on your own website domain. Share and manage your entire library from a single place. Grow your subscription base, optimize your website ranking on search engines and convert your visitors into potential clients. Stop running from the tables to the kitchen just to announce the clients’ orders. From your touch screen, smartphone or tablet, send the meals and drinks directly to the kitchen and bar. They’ll get notified by a new ticket printed from their own printer. Get a quick view of the Floor plan to know where are your customers, where are the free tables, who is still waiting for food, and how much room you still have left. Receive and send faster the goods thanks to the new bar-code scanner mechanism. Everything is in one single interface: just scan the goods and confirm the reception/sending of those just by using the scanner. With the shipper integration (DHL, USPS, UPS, Fedex) Odoo generates the sending label from the Shipper with all the necessary information. Track & trace your packages from Odoo. 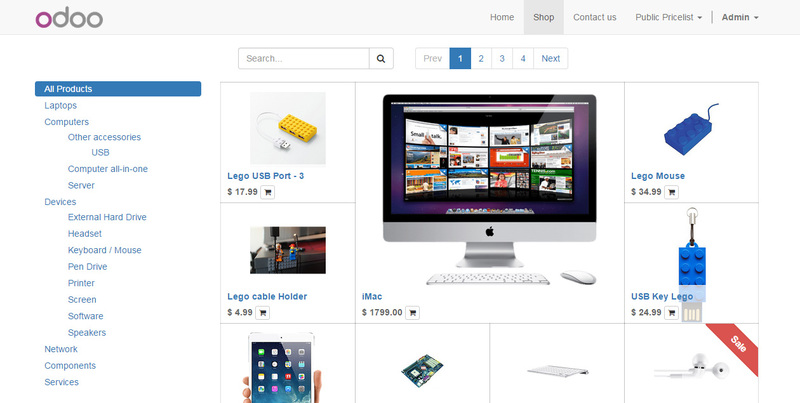 Integrated with Amazon & Ebay. Connected with UPS, USPS, Fedex & more. Get more chances to sell your products by also posting it on Amazon or Ebay! As soon as a sale is done via Amazon / Ebay, Odoo generates the invoice and the journal entry for you. Thanks to the synchronization, everything is done automatically... that’s the magic of Odoo. Be notified without being polluted. A new way to collaborate with your colleagues through Odoo without overloading your Odoo Inbox. Get all the discussions on a single interface, this will help you to go through the conversations or to go directly to the point. Avoid sending emails for small informations you want to share with a team. Enjoy mentioning people in the conversation to raise this person’s attention. Create channel or private groups to discuss important topics, all together.